Joel Engel was born on February 4, 1936 in New York City. He received his Bachelor's degree in Electrical Engineering from the City College of New York in 1957. Joel's professional career began at the MIT Instrumentation Laboratory, where he worked on inertial guidance and stabilization systems while pursuing a Master's degree in Electrical Engineering. In 1959, upon receiving his Master's degree, Joel joined Bell Telephone Laboratories, where he was involved in the early work on digital data transmission over analog telephone channels. At the same time, he pursued a Ph.D. at the Polytechnic Institute of Brooklyn, which he received in 1964. At that time, Bellcomm was being staffed to assist NASA on the Apollo program, and, because of his background at MIT, he was asked to transfer to Bellcomm, where he worked on the spacecraft guidance system. In 1967, he returned to Bell Laboratories, where he investigated the system design aspects of cellular mobile radio, doing analysis on such subjects as optimum cell layouts, optimum channel bandwidth, frequency reuse, and position locating techniques. He supervised the group that produced a comprehensive technical filing with the FCC that covered the system architecture, detailed design parameters, and the theory and field measurements on which they were based. In November of 1973, he was the Guest Editor of a special joint issue of the IEEE Transactions on Communications and on Vehicular Technology dedicated to mobile radio. His dealings with the FCC and other branches of the government on mobile radio had given him considerable experience in regulatory matters, and, from 1973 to 1975, he had a rotational assignment at AT&T as Manager of Corporate Planning Studies, analyzing regulatory trends. 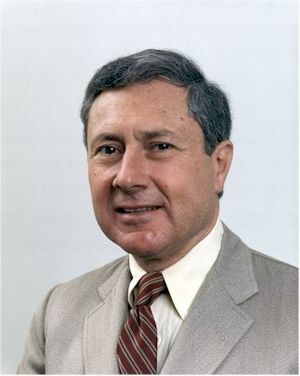 In 1975, he returned to Bell Laboratories, where he was responsible for technical management of a variety of products and services. In 1983, he became Vice President of Engineering for Satellite Business Systems; in 1986, Satellite Business Systems was merged into MCI and he became Vice President of Research & Development for MCI. In these positions, he has been responsible for technical planning and development. Joel and his wife Marian reside in Maryland. Their son Stewart is graduating from Boston University Law School, their son Mark is graduating from George Washington University with a Bachelor's degree in Computer Science, and their daughter Amy is at Johns Hopkins University. Dr. Engel is co-recipient of the 1987 Alexander Graham Bell Medal, along with Richard H. Frenkiel and William C. Jakes, Jr., "For fundamental contributions to the theory, design and deployment of cellular mobile communications systems." This page was last edited on 29 January 2016, at 18:37.